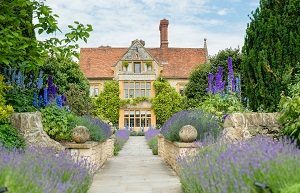 Raymond Blanc dreamed about creating a retreat that celebrates the best in food, nature and comfort. Now he invites you to see his vision come to life. Travelling through the village of Great Milton, a short journey from London, visitors to this peaceful corner of the countryside are greeted by chocolate-box cottages set against rolling hills. This is quintessential rural England and an idyllic setting for Britain’s most inviting manor house. The honey-hued Belmond Le Manoir aux Quat’Saisons is a modern classic. Having held two Michelin stars for over three decades, it is the touchstone of fine food. Yet our prestige is not limited to the dining room. From 32 individually-designed boutique suites to the bountiful gardens and ancient ponds, this is the place to relax and recharge surrounded by understated luxury.